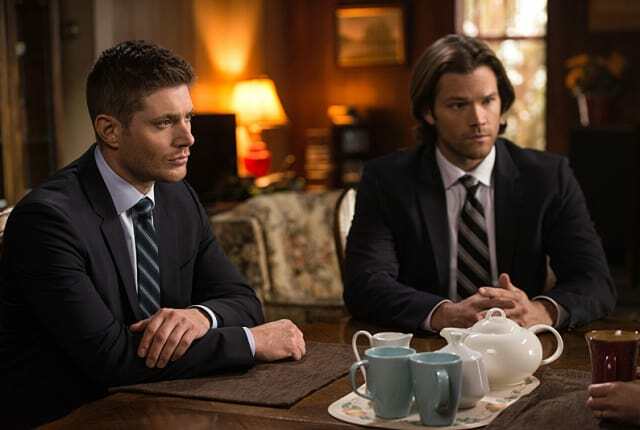 Watch Supernatural Season 11 Episode 16 online via TV Fanatic with over 7 options to watch the Supernatural S11E16 full episode. Affiliates with free and paid streaming include Amazon, iTunes, Vudu, Netflix, YouTube Purchase, Google Play, and Verizon On Demand. On Supernatural Season 11 Episode 16, Sam and Dean try to stop a dangerous creature who attacked a mother and her child, leaving them both in a coma. Permalink: 1985. Worst year of my life. I'm worried about my boys. Permalink: I'm worried about my boys.